The Carbon Scatter plug-ins integrate e-on’s patented EcoSystem™ algorithms directly inside 3ds Max, Maya and Cinema4D. Carbon Scatter allows you to populate your scenes with millions of native objects, and render them with your favorite renderer. The optional Carbon Botanica Plant Editor lets you customize any of the plants included with Carbon Scatter and allows creation of your own, unique varients. Plant generation using a nodal graph editor. It has various flavours ranging from $100 to $1500. The node graph is available in the $500 designer version, and animation is available in the $1000 studio version. As seen in films such as Snow White and the Huntsman and Pirates of the Caribbean: On Stranger Tides, this special effects software toolset is intended for use in films and visualization projects at high-end studios and other cinematic facilities. The product includes the complete Tree Model Library, a single floating license, and world building capabilities via SpeedTree Modeler. 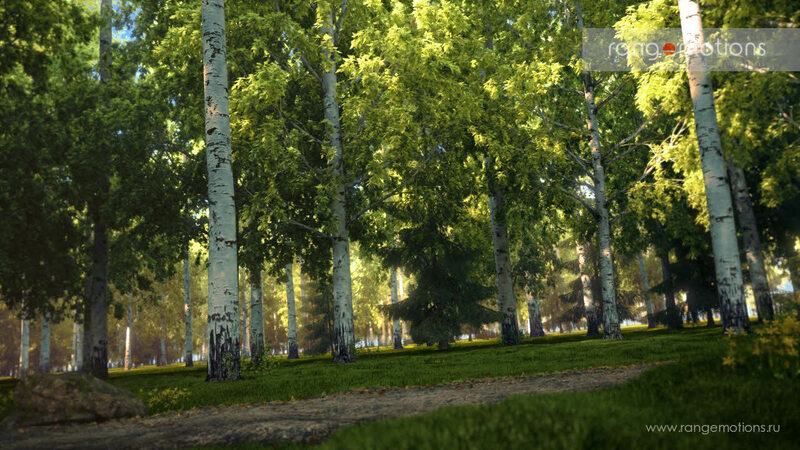 The budget versiont lets you create, randomize and edit trees and plants with the SpeedTree Studio Modeler, and then export them for use in visual effects, animations, architectural visualizations, or personal projects. Includes scripts for smooth importing into many popular 3D modeling and rendering packages. Blur studios use it in their 3smax pipeline, and have made a tutorial video introducing some of its features. TreeSketch By Algorithmic Botany is created by Steven Longay. He is a Ph.D student at University of Calgary, Biological Modeling and Visualization research group. Theres tutorials on his site and the unity3d team have post on importing the .fbx files in to game.